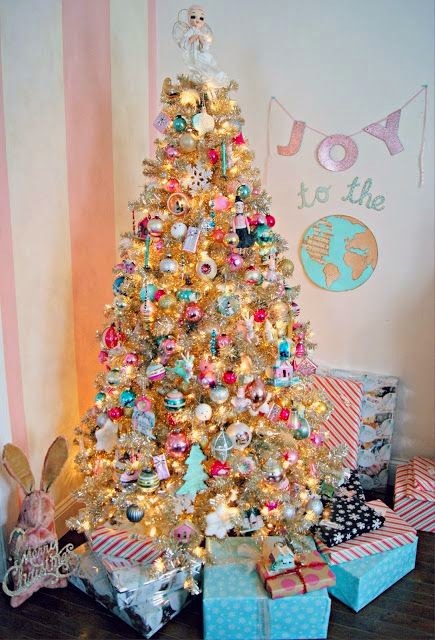 Today I have a Christmas Card to share (yes - I work on them year round so I'm done by December!) 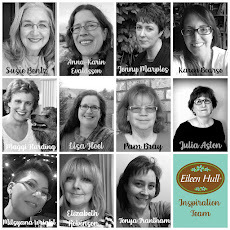 And I'm so glad there are lots of challenges out there to inspire my designs! I used Multi Step Ornament and Stars stamps from Kitchen Sink to stamp the star in my sky and the sentiment is from Peace on Earth by Verve. Stamps: Multi Step Ornament and Stars - Kitchen Sink, Peace on Earth - Verve. 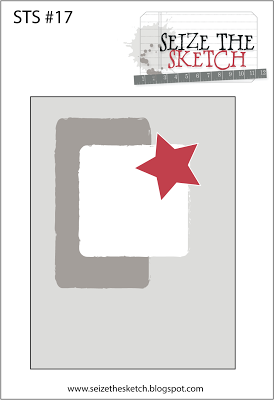 Paper: White, Soft Stone - PTI, Brushed Silver - SU, star patterned paper from stash. Ink: Hero Arts Black, Brilliance Starlite Silver, Brilliance Starlite Black. 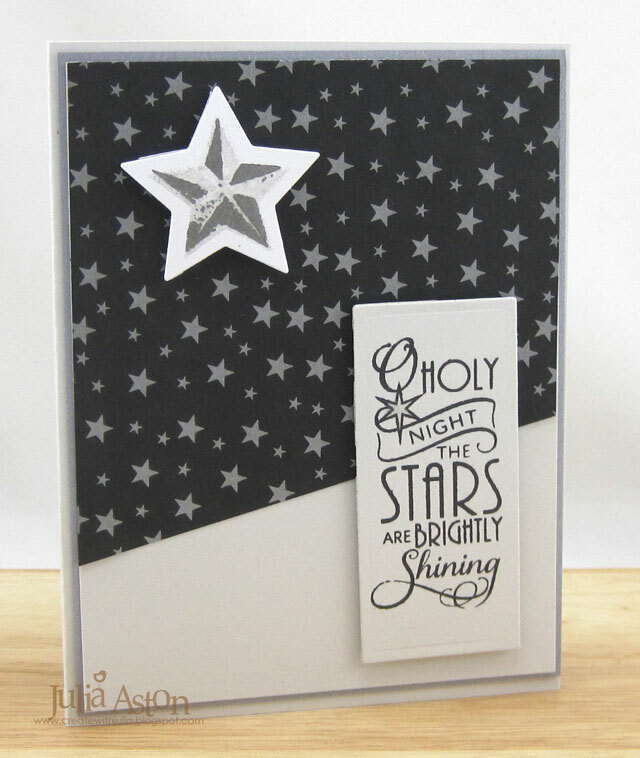 Accessories: Star and rectangle dies - Nestabilities, foam dots. 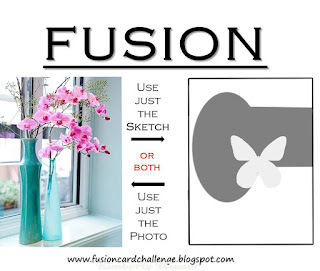 Spring is here - hopefully weather wise as well - and it's time for a lovely new Fusion Card Challenge. I was inspired by the blues and the sketch this week. First I did a watercolor wash over the watercolor paper panel. I die cut the oval out of matboard, inking it by rubbing my Mermaid Lagoon Distress Ink pad over it. Then I flicked water onto it and dried it with my heat tool. I die cut the butterflies also out of mat board and used Tim Holtz' Eroded Metallic Technique on them shown on this post. 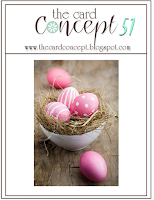 You will find all of the Design Team cards there too - they are also linked below. 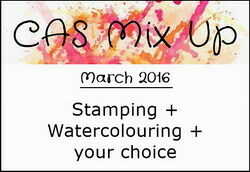 as well as our March guest designer! 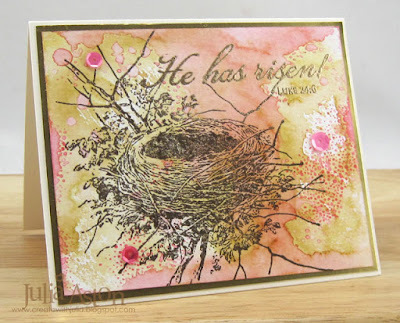 Paper: Water Color Paper - Ranger, Mat Board - Sizzix, True Black - PTI, DP Fine and Sunny Paper Pad - Kaiser Craft. 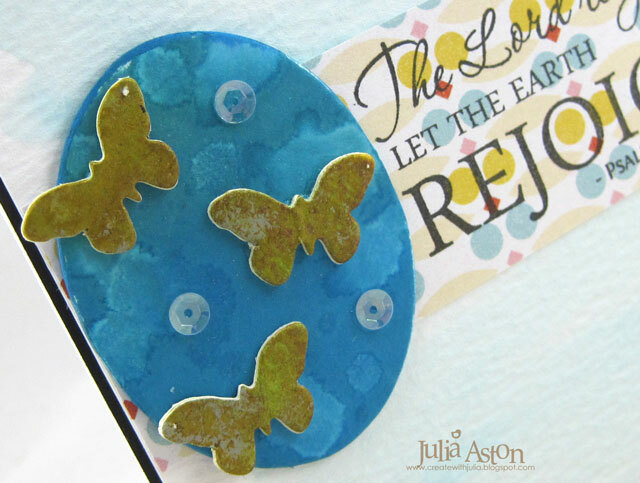 Accessories: Die - Small Oval/Alterations, Small Butterfly - Movers and Shapers - Sizzix/Tim Holtz, sequins - Waltzingmouse, blue watercolor paint, paint brush, water. Happy Saturday everyone! I'm so glad it's the weekend! I was inspired by the colors and the nest! 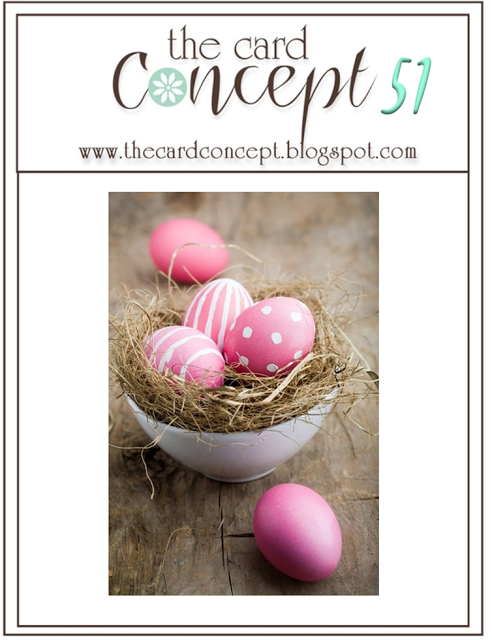 I was going to add eggs to the nest but then felt an empty nest was the perfect illustration of the empty tomb on Easter Day as 'He has Risen!" I made my background using my friend Loll's Splash Watercolor technique using Worn Lipstick and Brushed Corduroy Distress Inks and water on my craft mat. 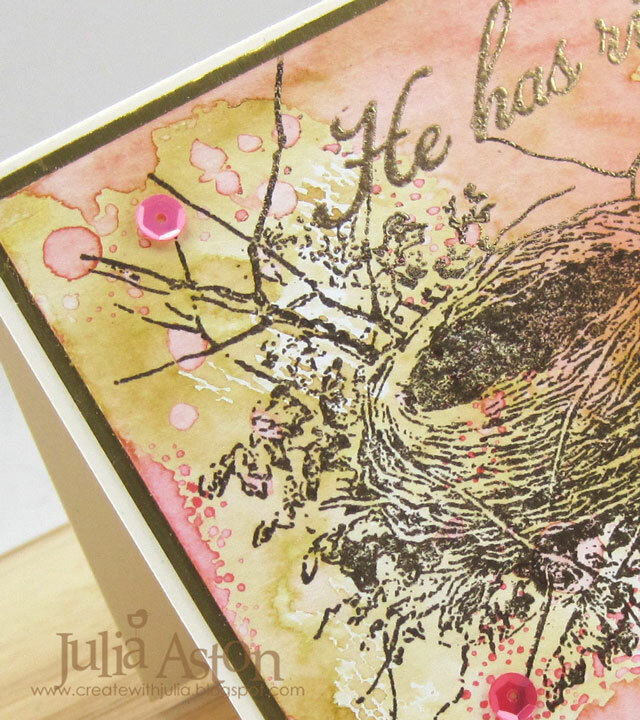 I dried the background with my heat tool and then stamped the nest from the Bird Feather set using Ranger Distress Ground Espresso ink. I love the look of the splash watercolor. Some of it's a wash and some of it's water spots! I gold embossed the sentiment from Everlasting Life by Verve on the panel. It really sparkles in the light IRL - you can see that sparkle a bit in the two photos above. Let us celebrate the triumphant entry of Jesus into Jerusalem this Palm Sunday and his final teachings to his disciples during the week before the sadness of Good Friday when he dies for our sins. How wonderful that Joy returns on Easter Sunday - when He is Risen! Accessories: water mister, Craft Mat - Ranger, gold embossing powder, Sugar Blend Sequins - Avery Elle. ﻿Wishing everyone a most Blessed Christmas Day! 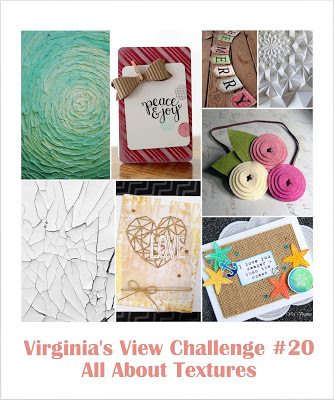 I used 3 different sentiments on the front - this one is from Verve. First, I white embossed the beautiful trees from the Tree Line Set extending the embossing to the bottom of the panel. Next, I sponged the sky with Tumbled Glass Distress Ink. 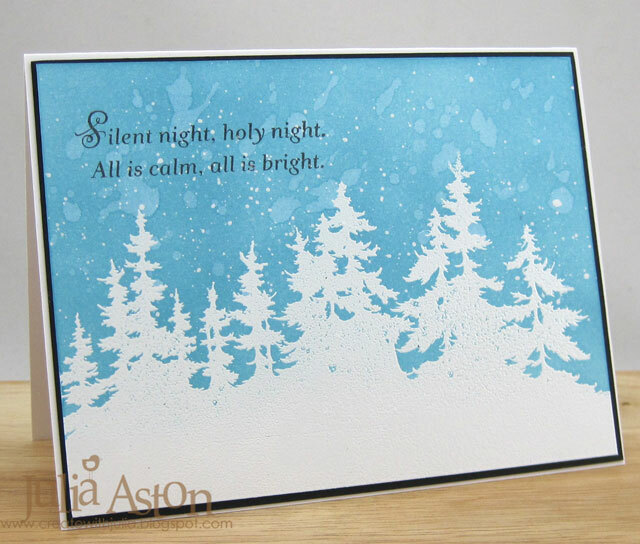 This Bible verse sentiment is from Silent Night by PTI. I flicked water onto the sky with my finger and dried it with my heat tool. Then I splattered Picket Fence Distress Paint onto the panel using my splatter brush. This is another sentiment from the Silent Night set by PTI. 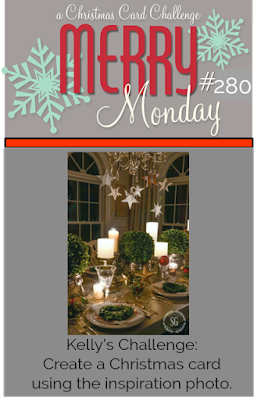 I have a Mixed Media Christmas tag to share today. 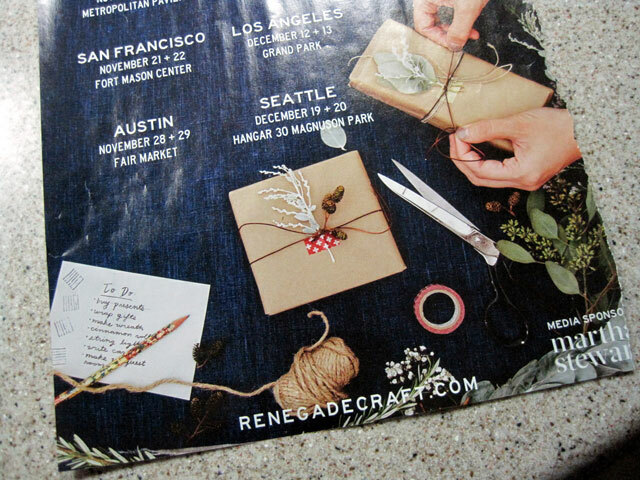 I started my design with something I just saw in an advertisement for the Renegade Craft Fair in the December 2015 25th Anniversary Issue of Martha Stewart that came in the mail this week. 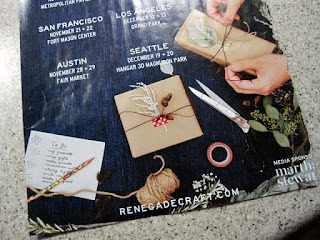 See the package in the middle with the foliage and red washi tape? Here is how I used that inspiration on my creation. I die cut the tag out of Kraft cardstock and then stenciled it with Tim's Stripes stencil using Iced Spruce Distress Ink. I used Tim's Speckles stencil with Wendy Vecchi White Embossing Paste for the 'snow'. 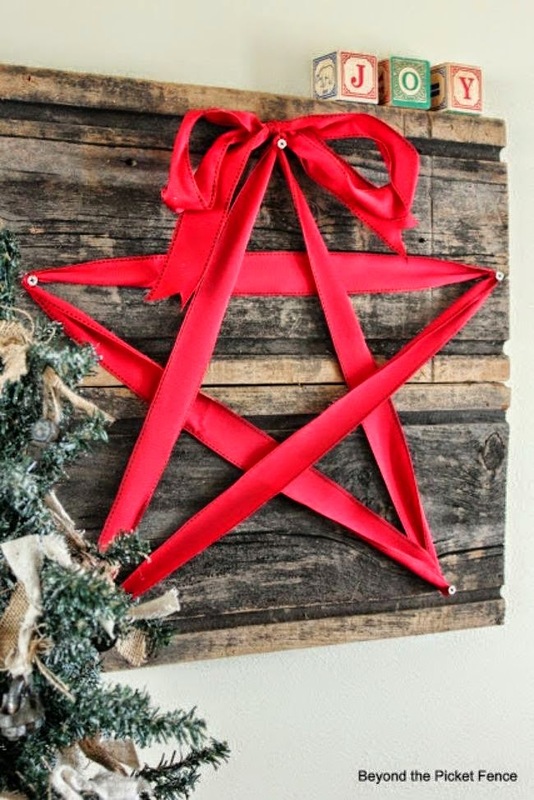 I looped some Linen Ribbon through the hole and added a Jingle Brad. 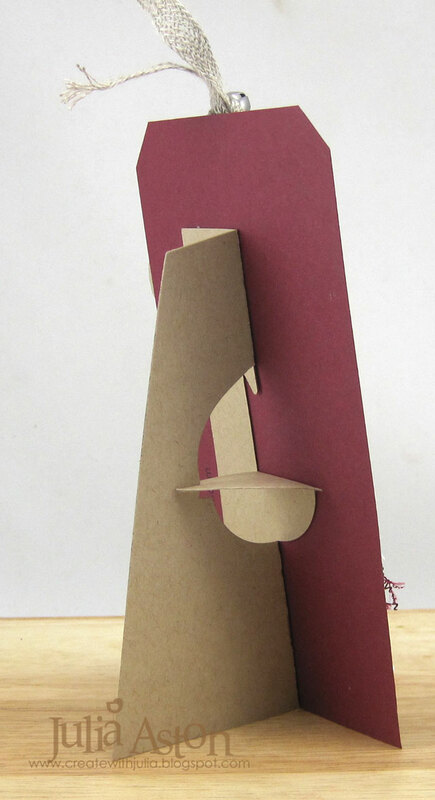 The 25 is die cut out of Brushed Gold cardstock and layered with foam dots. I used Spruce and Sprigs stamps and dies for the pieces of foliage. I layered them with foam dots and added a piece of Washi Tape across their stems (it looks like I have the exact same tape they used on the package in the ad!). I knotted a piece of tinsel string from Prairie Bird Boutique Etsy Shop around the tag looping the tails behind it. I adhered two Small Talk/Occasions stickers and stamped Merry Christmas along the bottom. To make this tag into a Christmas decoration that could be put on display - I die cut Tim's small easel and adhered it to the back. Accessories: Wendy Vecchi White Embossing Paste, Washi Tape, Idea-ology Small Talk/Occasions, Jingle Brads, Linen Ribbon, Tag and Bookplate Die, Small Easel, Stacked Words/Christmas - Alterations, Spruce and Sprigs - PTI, Speckles stencil and Stripes Stencil - Tim Holtz/Stampers Anonymous, tinsel string - Prairie Bird Boutique Etsy Shop. I used the same technique for the background on both cards. I took Worn Lipstick and Salty Ocean Distress Stains and ran them over my NonStick Craft Mat in two lines. I spritzed the mat with water over the stains and then swiped a panel of glossy card stock straight through the colors. I flipped over the panel and let the colors drip a bit - then dried it with my heat tool and blotted any big pools of color with a paper towel. The card above was made using the first panel I swiped through the stains - so the colors are stronger. 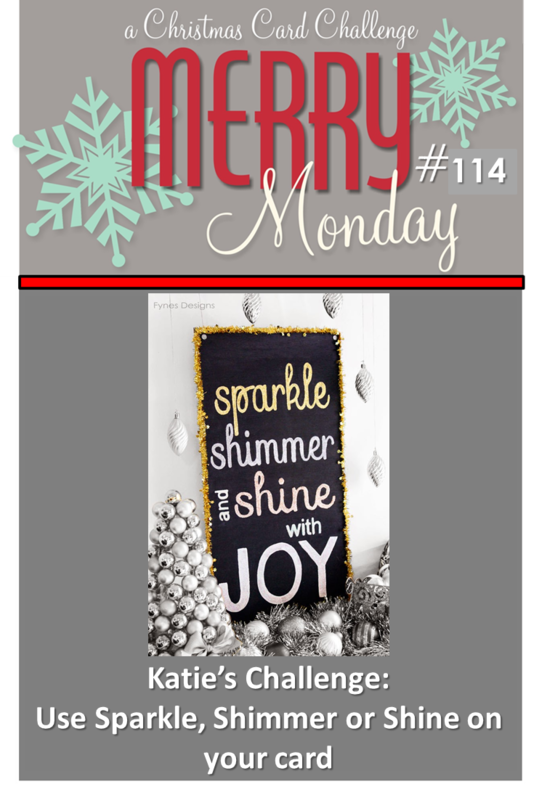 and Merry Monday - which was to use sparkle - I used sequins for sparkle and glossy paper that shines! 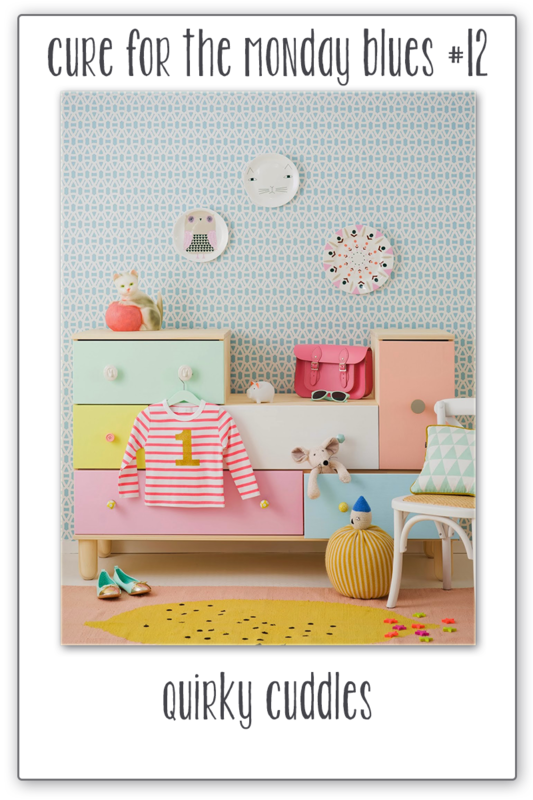 Accessories: Circle Nestabilities - Spellbinders, Ranger Distress Stains Worn Lipstick and Salty Ocean, Non Stick Craft Mat - Ranger, Water Mister - Ranger, Lemonade Blend sequins - Avery Elle. 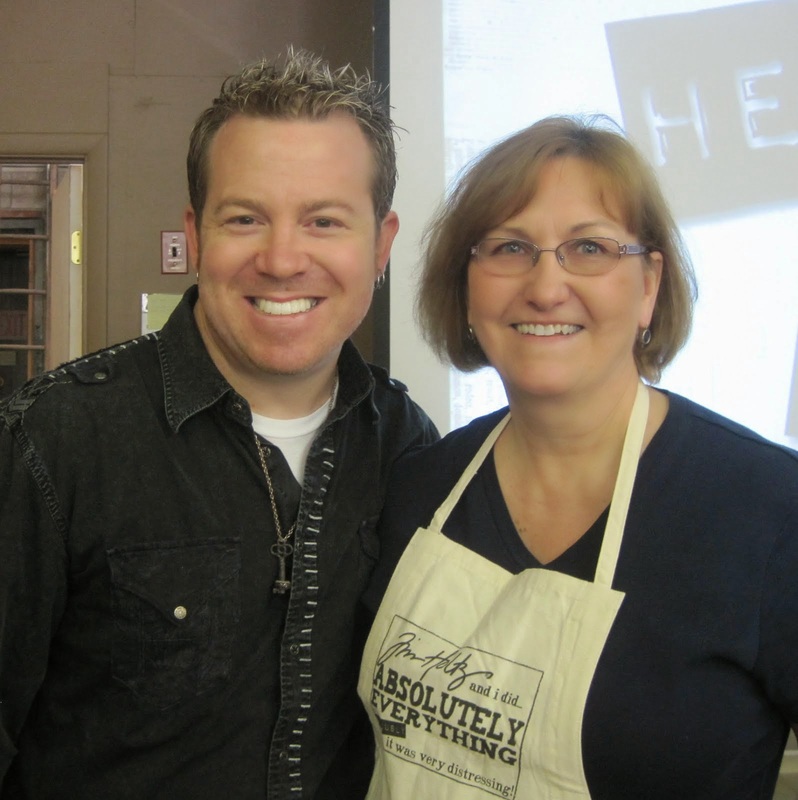 I used a new toy on my card today - the Frameworks Border - Honey Comb die from Tim Holtz. I embedded the die in a white panel having the negative cut on the panel and filling it with the die cut in Green Bazzill cardstock and filling the honeycombs with patterned paper Out of Print by Basic Grey. I think the colors I used make this a good choice for a Masculine card. I added home made enamel dots made from Perler Beads. I had to add the sentiment from Verve on a square of card stock since I stamped it a little crooked directly onto the panel and had to cover it! 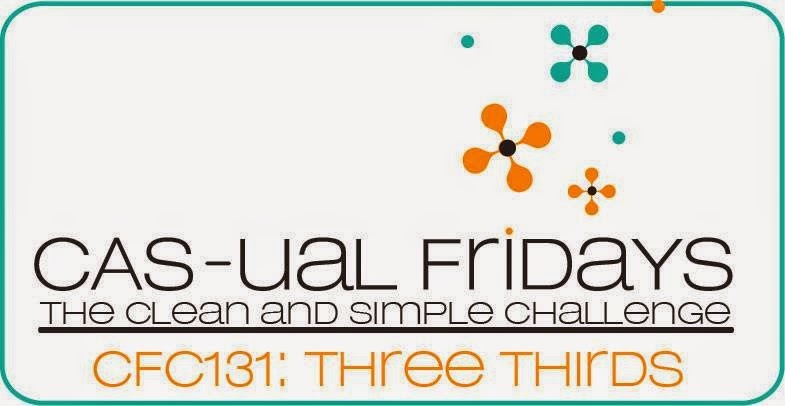 My design was inspired by this week's Cas(e) this Sketch. Stamps: Birthday to You - Verve. Accessories: Honey Comb Die - Tim Holtz/Sizzix, Glue N Seal - Ranger, Enamel Dots made from Perler Beads. 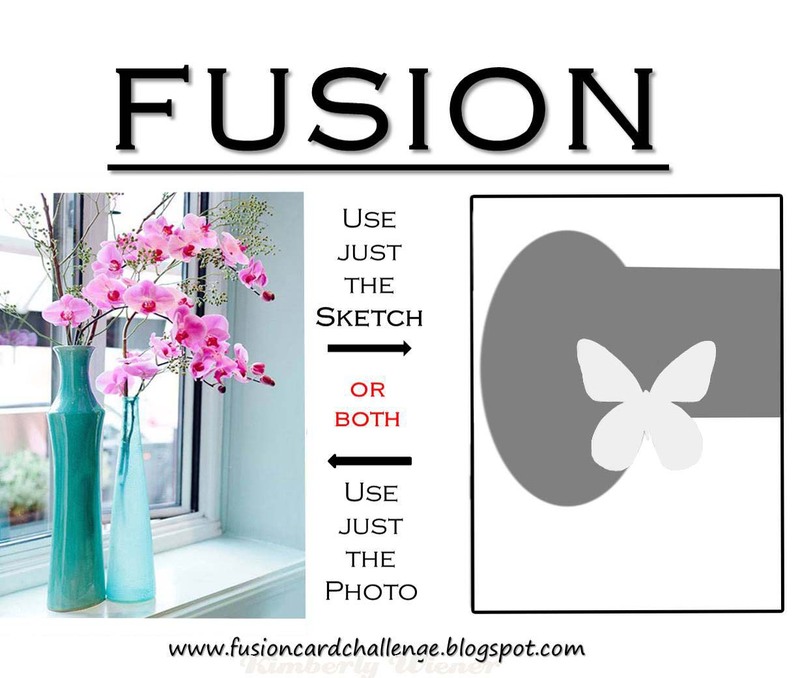 I have several DT posts coming up this week so I wanted to sneak these two challenge cards in before I ran out of posting time! I knew that I'd pull out my sweet little star die and this wonderful digital wood grain DP from the Etsy Shop - All About Scrapping, that I won for a card I entered into a Stamplorations Challenge. The sentiment from Verve seemed perfect for it - stamped directly on the paper in Archival Jet Black Ink. 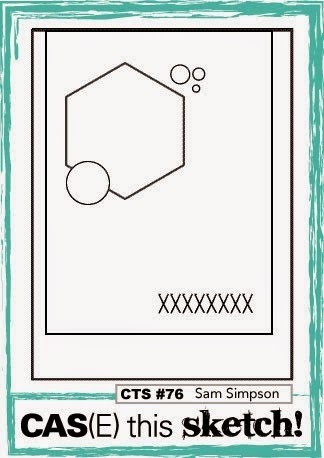 I'm also linking this to Jingle Belles - to use at least 3 layers - I know this card looks pretty CAS but there ARE 3 layers on it! For my second card - I needed a baby card for the baby shop that buys cards from me. I've made cards with this peapod stamp and buttons before and the owner said they are quite popular and so she wanted more. I used three buttons, 3 colors (2 shades of green and yellow (buttons)), and 3 layers - and the pea pod itself is on approximately just 1/3rd of the card! 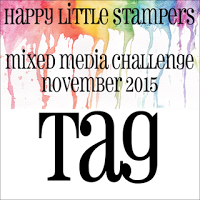 I'll be back tomorrow with a Mixed Media Post for the eclectic Paperie Blog - I hope you'll stop by to check it out! Paper: red Bazzill, white - PTI, woodgrain Digital DP from the Brown Grunge Texture Set - All About Scrapping Etsy Shop. Accessories: Star die - Savvy Stamps/Ellen Hutson, thick foam dots. 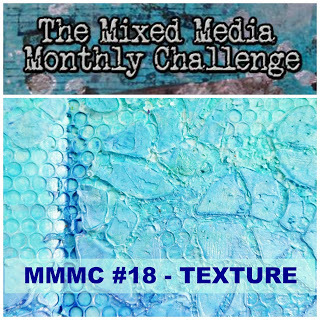 I'm squeezing in a couple more challenge cards that I had time to make this week. 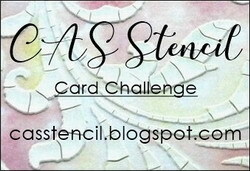 First is a card I used some of my brand new Studio 490 Wendy Vecchi stencils on. The background is Check Mate and the tree is Layered Tree. 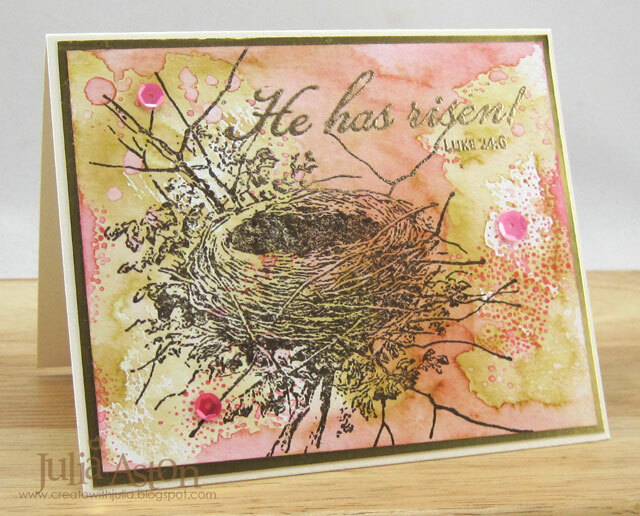 The sentiment is from Sentimental Art by Studio 490 Stampers Anonymous. I stenciled on a panel of watercolor paper so there is a nice texture on it. I used Ranger Distress Bundled Sage, Archival Leaf Green and Tree Branch. For my second card I used some pretty patterned papers I just got at a friends Stampin' Up Party. The balloons are dies from WPlus9 Whole Lotta Happy that I added twine balloon strings to! The sentiment Verve. 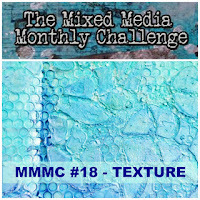 and I was also inspired by the Cure for the Monday Blues - the colors and mix of patterns! 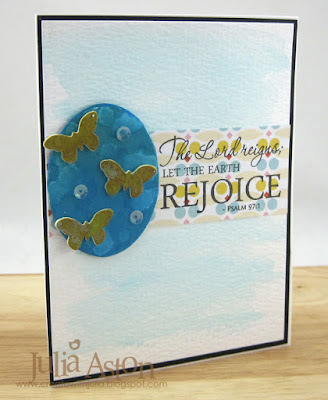 Paper: White, Aqua Mist - PTI, DP - Sweet Sorbet Stampin' Up. Accessories: foam dots, square Nestability, Stitched Mat Rectangle Dies - Lil' Inker Designs, Caribbean Twine- The Twinery, balloon dies - Whole Lotta Happy - WPlus9. Here are photos of the box from all angles - open and closed. The decorative piece along the bottom was put on because of a mistake I had to cover (!) 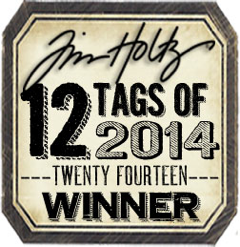 its a silver Industrious Sticker - Borders from Tim Holtz that I inked with Orange Blossom and Fern Green Archival Inks. I didn't have enough to go around the whole box - so I just put it on the front. The top of the cover when closed. The box open - with the 9 Bible Verse cards I created tucked inside. You can see there's plenty of room for more! I included 3 blank ones where I could write special prayers or thoughts. I used Box Corners from Tim Holtz Ideology on the bottom corners of the box. 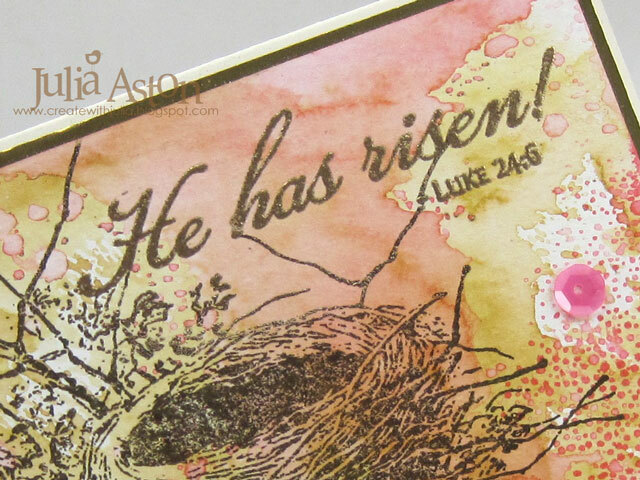 I made the Bible Verse cards using a Stitched Mat Rectangle die with Soft Stone card stock. 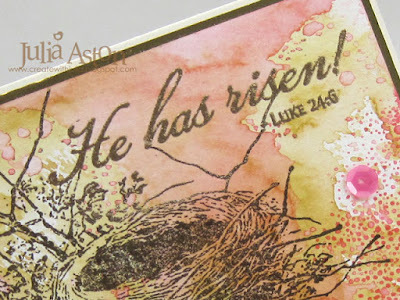 Even though the verses are from different stamp sets - I kept them uniform by using the same colors of ink and the pretty stem stamp. The verses below are from Beautiful Blessings and Everyday Blessings by Papertrey Ink. I will put this box either on my desk at work or on my window sill by the kitchen sink - where I can rotate the cards daily or weekly to remind me of God's word every day. The finished box measures 6.18" W x 4.5" H x 3.25" D. I used my Silhouette Cameo to cut out the template. 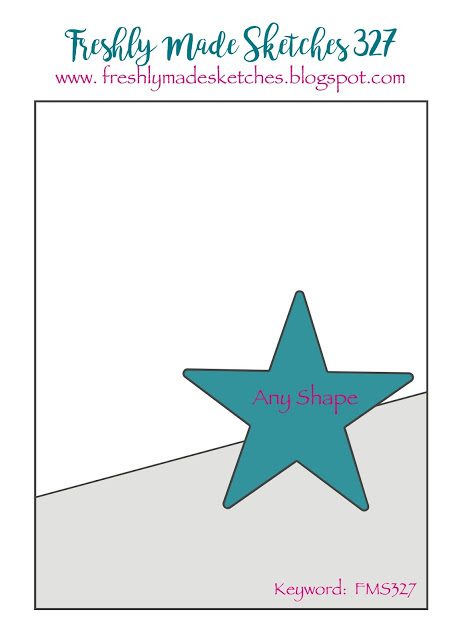 It also comes as a PDF file that can be printed and hand cut out. What would YOU use this creative box for? 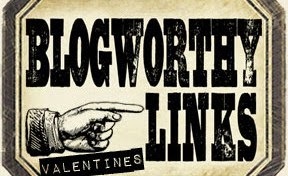 Here are the links to the Design Team - remember to leave comments at each one to increase your chances of winning! Ink: Ranger Distress Pumice Stone and Aged Mahogany, Archival Fern Green and Orange Blossom. Accessories: foam dots, ScorTape, Industrious Stickers/Borders and Box Corners -Tim Holtz Ideology, Crosses Two and Oval - Nestabilities, Stitched Mat Rectangle Die - Lil'Inker Designs, Silhouette Cameo.